How do you like them Apples? 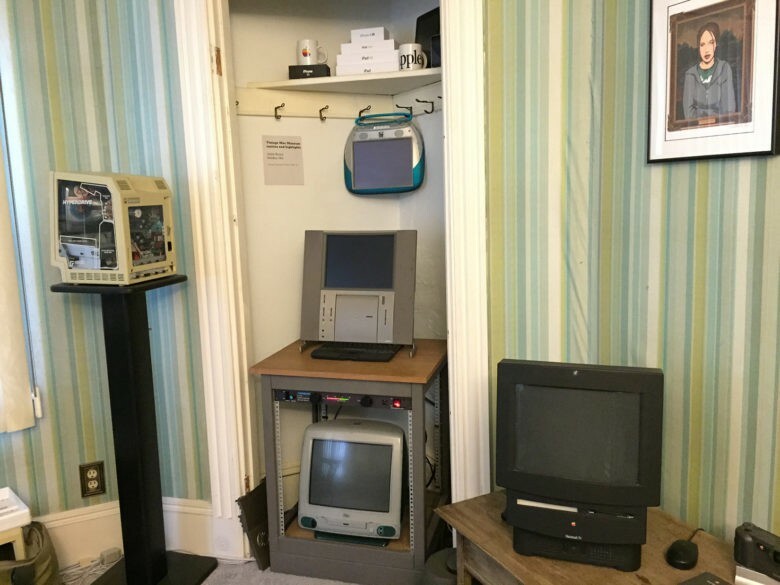 Adam Rosen's home is the Vintage Mac Museum. 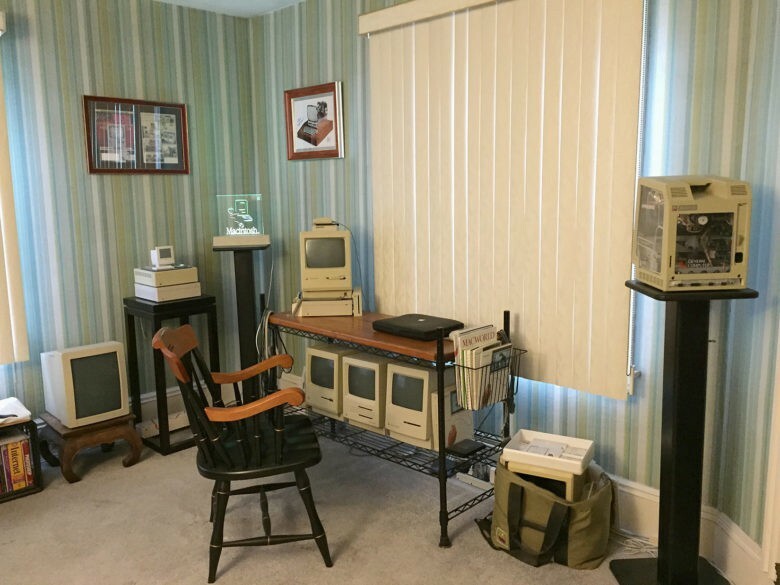 Adam Rosen’s collection of vintage Macs doesn’t make him a hoarder, but he acknowledges it doesn’t make him an obvious choice for a husband, either. Apple has snubbed its own history by saying publicly it has no plans to build a museum. However, Apple history is left to a smattering of collectors in various corners of the world, devoted fans and collectors who start their own museums in places like Maine, Prague, Italy and even a small village in The Netherlands. 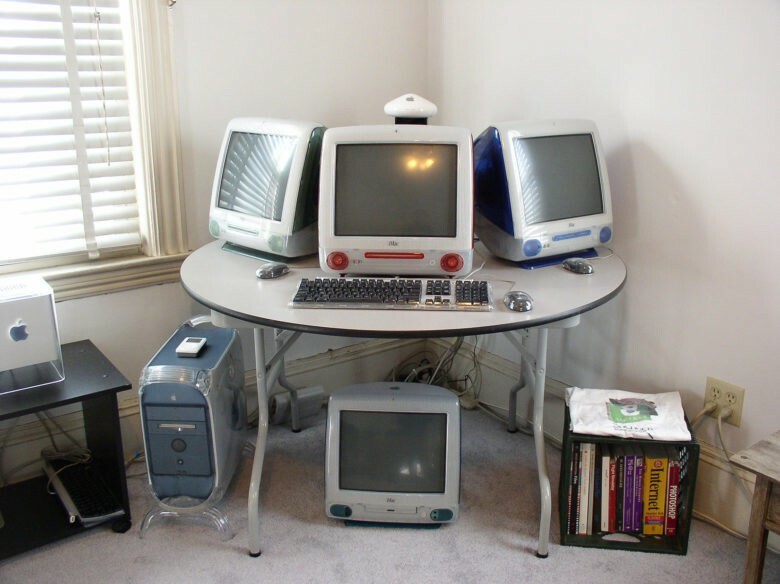 Rosen’s Vintage Mac Museum began in the corner of his kitchen and now resides in two bedrooms, part of his living room and home office, and the attic. It is edited to be just Macs — and only those significant to computing history’s timeline. Rosen’s museum includes only the most important Mac models. Peformas not included. “This is our generation’s version of collecting vintage cars,” Rosen, 50, told Cult of Mac. “The car for so many people was the center of American life. You souped it up and it defined you. You are preserving that part of your identity. I’ve been thinking about this for a while, the importance of collecting. Rosen was a senior in high school when he saw Apple’s famous commercial during the 1984 Super Bowl that introduced the Mac. He was captivated, but it would be a year before he could work on one himself as an undergraduate at MIT. His lab partner in physics had a Mac, and on it they could not only write reports and papers but design graphs and charts for various projects. He has used Macs ever since and only during the 1990s, when Apple was struggling to stay afloat after Steve Jobs’ ouster from the company he founded, did Rosen consider switching. Rosen stuck with Apple through those lean years, and Jobs eventually returned to Apple to make it the global brand it is today. 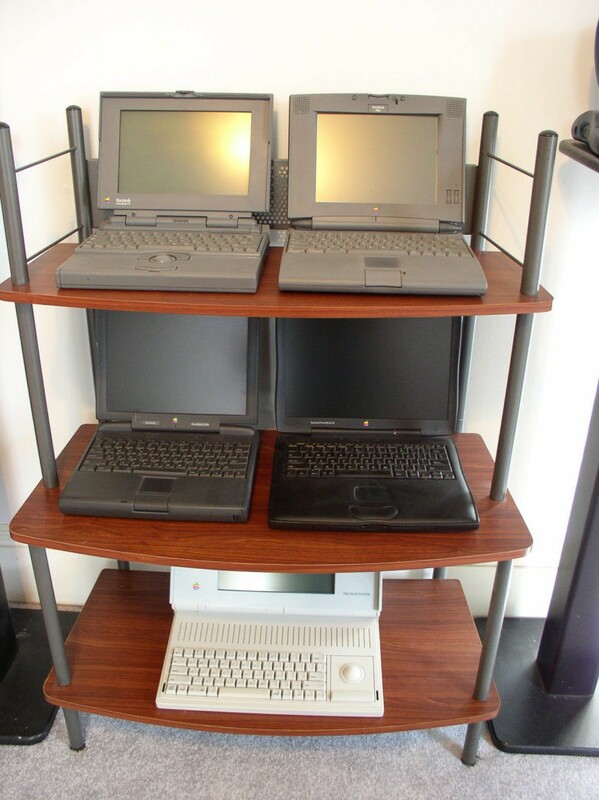 Rosen’s collection currently covers five distinct eras, including Mac PowerBooks. Sometime in 2001, Rosen’s collection began. It was unintentional, but he noticed people were throwing away their old Macs. He started going to tech flea markets at MIT, buying cheap machines he never owned. Pretty soon, he had 10 Macs piled in a corner of his apartment kitchen. A collection had begun and he already had run out of space. During the 2004 Macworld in Boston, a vendor asked Rosen to exhibit his old machines and the Vintage Mac Museum was born. The collection exists mostly online, though he is known to give enthusiasts a private tour of his home collection. Rosen has acquired many pieces from people who could not bear to just throw out their old machines. They recognized he would give their Macs a good home. But he turns down about 80 percent of what is offered to him, he said. 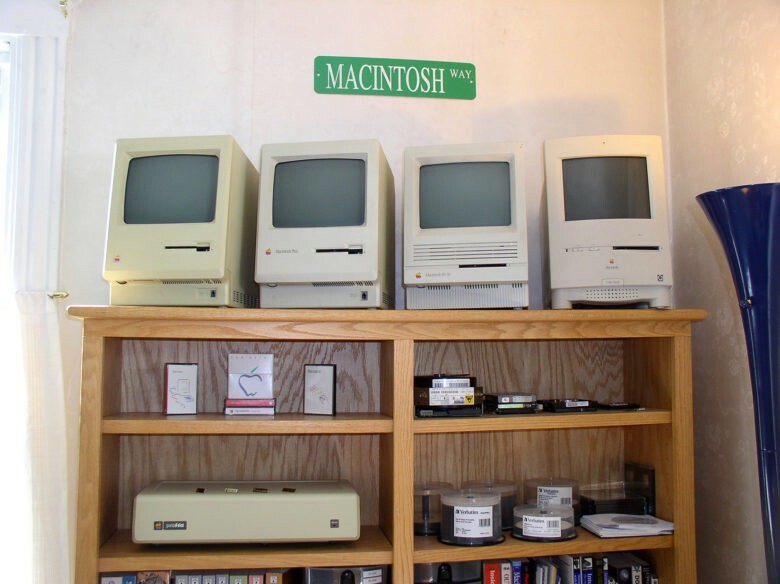 The Vintage Mac Museum holds about 100 working machines, along with all the software from the time. Another 100 computers get used for parts. Rosen’s Macs run every Apple operating system that existed, and occasionally he gets contacted by a lawyer representing Cupertino in a patent dispute. Rosen is quick to point out that the company wouldn’t need to do this if Apple had its own archive or reference museum. The Vintage Mac Museum houses about 100 machines that run on every operating system ever issued by Apple. Currently, Rosen’s collection is made up of five distinct categories or eras: 68k Macintosh — The Computer for the Rest of Us; Power PC Beige — Beleaguered Apple Computer; PowerPC G-Series — Post-NeXT and the Second Jobs Dynasty; PowerBook — The Power to Be Your Best; and Rare Items — Demo Units and Uncommon Collectibles. Once Apple changes chips, Rosen will be ready for a category that defines the Intel Era with a tagline along the lines of Embracing Aluminum and Passing the Baton. “I already have some of the older Intel machines, but there isn’t a display or web presence for these machines, mostly due to space constraints and the fact that Intel models are still current,” Rosen said. Rosen would like to see his collection be part of a public exhibit one day, but for now, he lives with his collection. The living room and the bedroom where he sleeps are Mac-free. Surely, a prospective spouse can appreciate the clean, orderly fashion of the rooms Rosen designed for his Macs. Competing with them for his heart might be another matter. Rosen turns down 80 percent of the Macs he gets offered because he is particular about which models are important (and can’t let his collection outgrow another living space).